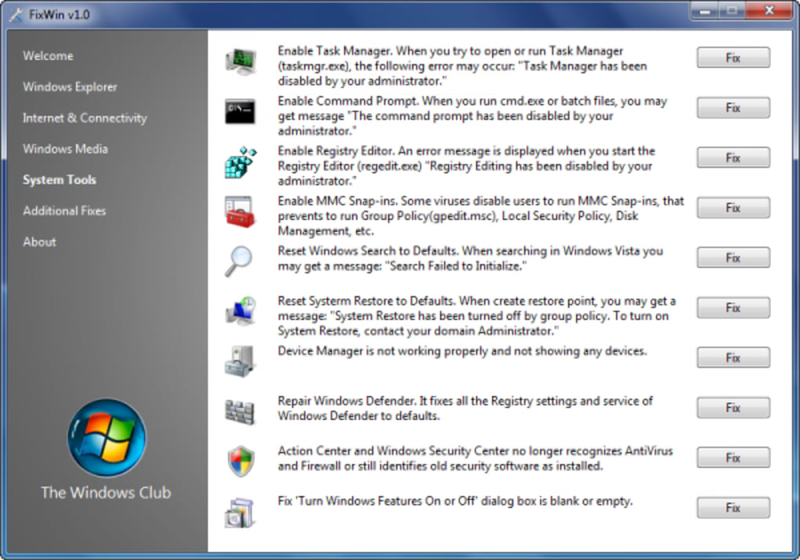 Is there any problem with your Windows Vista or Windows 7 that's getting on your nerves? 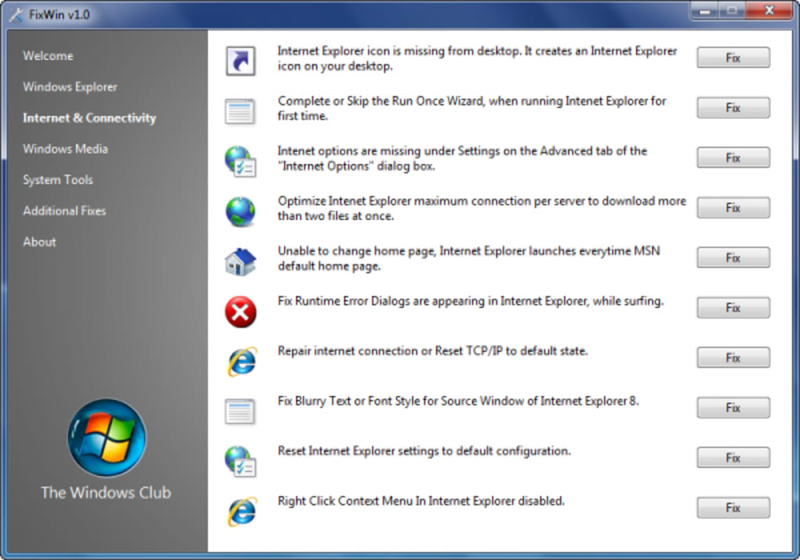 You have two options: either you search Google for the solution or you try FixWin. 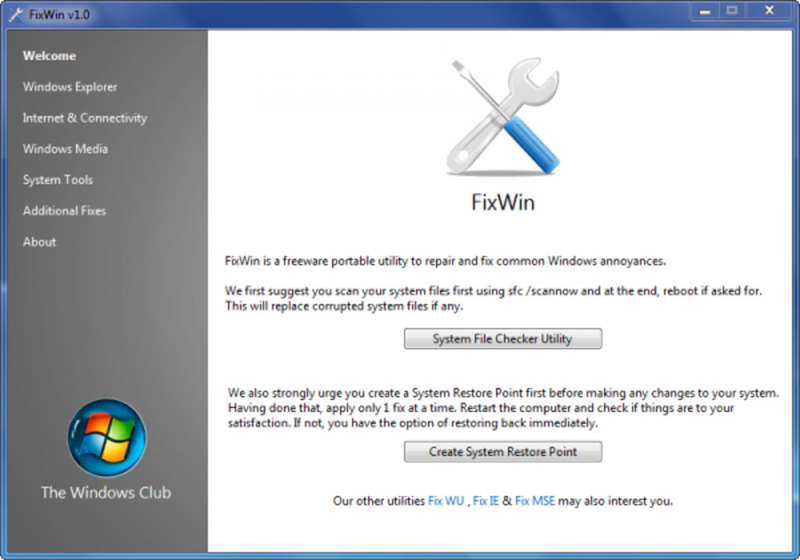 FixWin is a simple, standalone tool – no installation required - that helps you solve the most common problems in Windows Vista and Windows 7. Of course, we're talking about simple annoyances here, like the Recycle bin icon missing from your desktop, the context menu not working in Internet Explorer or the Automatic updates not working properly. 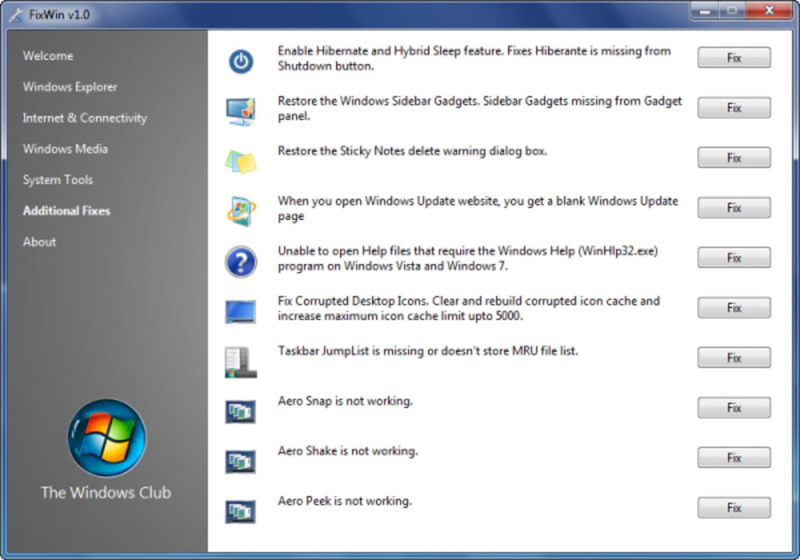 If you're lucky to find your particular problem with Windows among the FixWin list (which includes about 50 different problems), fixing it is as easy as clicking thhe "Fix" button beside the description of the problem. If not, well, maybe you should look for another program. As with any other tool that fiddles with system options, you should create a system restoration point before using FixWin. 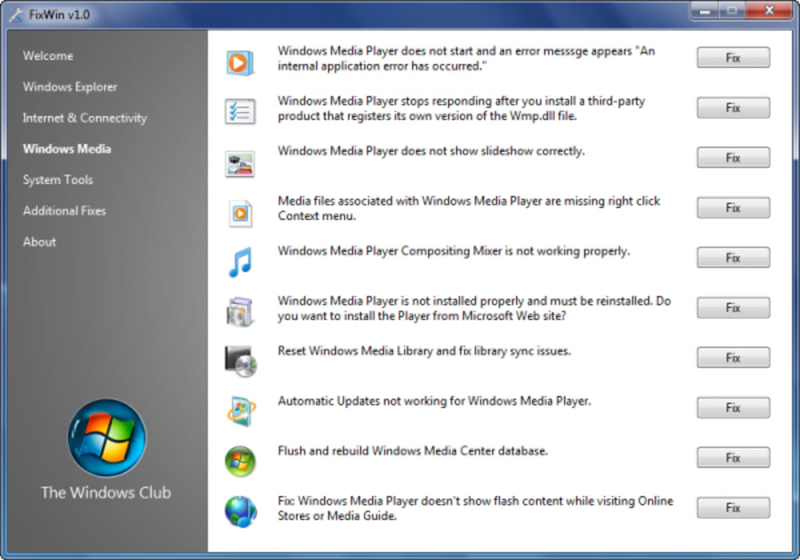 You can do it in the program's Welcome window. 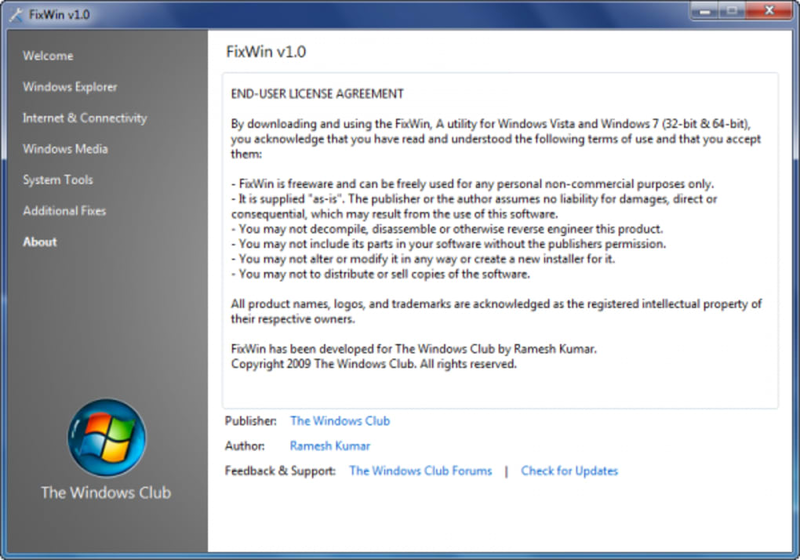 If you're having small, annoying problems with Windows Vista or Windows 7, check out FixWin and see if you can solve them with it! What do you think about FixWin? Do you recommend it? Why?